We understand that you love your car. For a mechanic in Covina who loves your vehicle as much as you do, consider Johnny’s Auto Service. Our garage opened in 1970, and our co-owner, Byron Moreira, has been servicing vehicles like yours for over 40 years. He is an ASE Certified Master Technician and leads a staff of ASE Certified Technicians who have the know-how to diagnose and repair any problem that your car might throw at them. Has your vehicle been making a strange sound? Don’t rely on google to diagnose your problem. You need a mechanic near me with expert knowledge of every knock, ding, or whir. We offer state-of-the-art diagnostics, from smog checks to computer systems scans. However, we won’t just tell you what’s wrong with your car. Our technicians will repair the problem promptly, with friendly service you can trust. If you’re searching for a car mechanic, you want to find a repair shop you can trust. Our professional and friendly service writers explain vehicle problems in a way that everyone can understand. 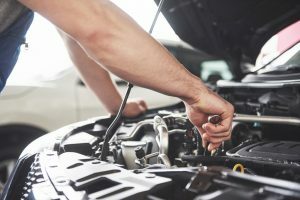 We’ll let you know exactly what your car needs to get it running smoothly and according to a manufacturer’s suggested maintenance, and you can trust that we’ll never suggest repairs that are unnecessary. It’s our relationship with our customers that we value above all. We want you to feel safe coming back to us again and again.